North America is the home to most of the world’s largest retailers. Between Canada, Mexico, and the U.S. retail industries, retail sales total more than $5 trillion annually. Canada and Mexico each have their own largest retail chains and both countries have retail companies that do business throughout the world. Retail business is responsible for approximately two-thirds of the U.S. gross domestic product (GDP). However, U.S. retailers aren't satisfied with dominance within their own borders and have established a substantial presence across the globe. Walmart. Revenue in 2018: $500.3 billion. Headquartered in Bentonville, Arkansas, the company was founded by Sam Walton in 1962. As of Oct. 31, 2018, Walmart had 11,200 retail stores in 27 countries. The largest company by revenue, Walmart is also one of the world's most valuable companies by market value and is the also the largest grocery retailer in the U.S. Today, the business is controlled by the Walton family. Sam Walton's heirs own about half of the holding company, which employs 2.2 million people worldwide and 1.5 million in the U.S.
CVS Health. Revenue in 2017: $184.8 billion. Caremark was founded in 1993 in Birmingham, AL, as MedPartners, Inc. After going public in 1995, MedPartners quickly became the largest PPM company through its many acquisitions. In 1996, Caremark International was acquired by MedPartners with Caremark now holding the PPM division and prescription benefit management division. It has since expanded (beyond being your local prescription drug store) to a center for the distribution of drugs conditions including multiple sclerosis. The company (following its 2007 merger with the CVS Corporation) re-branded itself as CVS Health. It employs over 246,000 people. Amazon. Revenue in 2017: $177.9 billion. Amazon is an American electronic commerce and cloud computing company based in Seattle, WA, and was founded in 1994 by Jeff Bezos. The tech giant is the largest internet-based retailer in the world by total sales and market capitalization. They started as an online bookstore and later diversified to sell DVDs, blu-rays, CDs, video downloads, MP3s, apparel, toys, and much more. In 2017, Amazon acquired Whole Foods Market, vastly increasing Amazon's presence as a physical retailer. Amazon employs 613,300 people. Walgreens Boots Alliance. Revenue in 2018: $131.5 billion. Headquartered in Deerfield, IL, Walgreens Boots Alliance owns Walgreens, Boots and a number of pharmaceutical manufacturing, wholesale and distribution companies. The company was formed in December 2014 after Walgreens purchased a 55 percent stake in Switzerland-based Alliance Boots. The new company consists of three divisions: Retail Pharmacy (Walgreens), Retail Pharmacy International (Boots), and Pharmaceutical Wholesale. Walgreens had previously operated solely in the U.S. and its territories, but Alliance Boots operates globally and is in more than 25 countries. They employ 415,000 people as of 2018. Costco. Revenue in 2017: $129 billion. Costco is the largest American membership-only warehouse club and is headquartered in Issaquah, WA. It is the world's largest retailer of choice and prime beef, organic foods, rotisserie chicken, and wine. Costco's corporate history dates back to 1976, when its former competitor, Price Clue, was founded in San Diego, CA. As of 2017, Costco had a total of 741 warehouses worldwide with 508 in the U.S. and Puerto Rico. Costco employs 214,000 people between full- and part-time. The Kroger Co. Revenue in 2017: $122.7 billion. Simply called Kroger, this business is an American retailing company founded by Bernard Kroger in 1883 in Cincinnati, Ohio. It is the largest supermarket chain in the U.S. by revenue and the second-largest general retailer (behind Walmart). It is also the second-largest private employer in the U.S. Kroger operates 2,769 supermarkets and multi-department stores in 35 states, with store formats that include supermarkets, superstores, department stores, convenience stores, and jewelry stores. 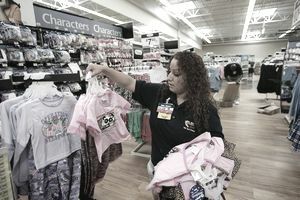 The retail giant employs 460,000 people. The Home Depot. Revenue in 2017: $100.9 billion. Home Depot is an American home improvement supplies retailing company that sells tools, construction products, and services. Home Depot was co-founded in 1978 by Bernard Marcus, Arthur Blank, Ron Brill, and Pat Farrah. They are headquartered in the Atlanta Store Support Center in unincorporated Cobb County, GA. The company operates many big-box format stores across the U.S. (in all 50 states) and has 70+ distribution centers across the U.S. as well. The company employs 400,000 people and boast 2,286 locations worldwide. Target. Revenue in 2017: $71.9 billion. Target is the second-largest discount store retailer in the U.S. behind Walmart. The company was founded in 1902 by George Dayton in Minneapolis, MN and was originally named Goodfellow Dry Goods. As of 2018, Target operated 1,850 stores throughout the U.S. Target's retail format includes the discount store Target, the hypermarket SuperTarget, and the "flexible format" stores previously named CityTarget and TargetExpress. Target employs 350,000 people. Lowe's Companies. Revenue in 2018: $68.6 billion. Lowe's is an American company that operates a chain of retail home improvement and appliance stores in the U.S., Canada, and Mexico. It was founded in 1946 in North Wilkesboro, NC. It is the second-largest hardware chain in the U.S. behind The Home Depot and ahead of Menards. Lowe's operates 2,394 locations and employs 310,000 people, as of 2018. Albertsons Companies. Revenue in 2017: $59.7 billion. Albertsons is an American grocery company founded and based in Boise, Idaho. They are the second-largest supermarket chain in North America after Kroger. Privately owned and operated by investors, including Cerberus Capital Management, Albertsons operates 2,328 stores and employs more than 280,000 people as of 2017.